To Boldly Go Where No PEE Has Gone Before . . . It is a balmy 43 degrees and the natives are out buying seed starting kits in force. We have to remain optimistic when there is still 3 feet of snow on the ground. A nod to the late, great Leonard Nimoy in the title of today’s blog post. NO i am not a trekky, but he was a cultural icon that even I can’t ignore. I am sure that still leaves you scratching your head as to what the heck I am writing about today. Well, here goes. . . So, it has come to my attention through various means not the least of which is our friend The Chicken Chick that there is a big group of people who have not yet been educated regarding the benefits of predator pee. While it is hard for me as a long time purveyor of animal urine to believe that anyone could be ignorant in this area, I guess there is more work to be done! Accordingly, we have dubbed 2015 the “Year of the Chicken” at predatorpee.com. Now, while it sounds like something right out of the Chinese calendar, it is really just a commitment on our part to let every poultry enthusiast and owner of backyard chickens, ducks etc. that there is a way to keep their precious layers, show birds, and pet hens safe from predation. There are several vile vermin that like to snack on eggs or the poultry that lay them. Foxes, racoons, coyotes, rats, mice, possum, weasels make up a motley crew of animals that pose a threat to to any backyard flock. Well, what is to be done, you ask? If you know anything about our products, you know that people have been using them for years to keep hungry animals away from garden patches, shrubbery, pets, livestock, etc. It is only logical that this effective tool be carried over in to the ever burgeoning world of backyard chickens. Cities and towns all over the country are passing ordinances allowing people to keep hens in response to the increasing interest in growing and raising one’s own food. 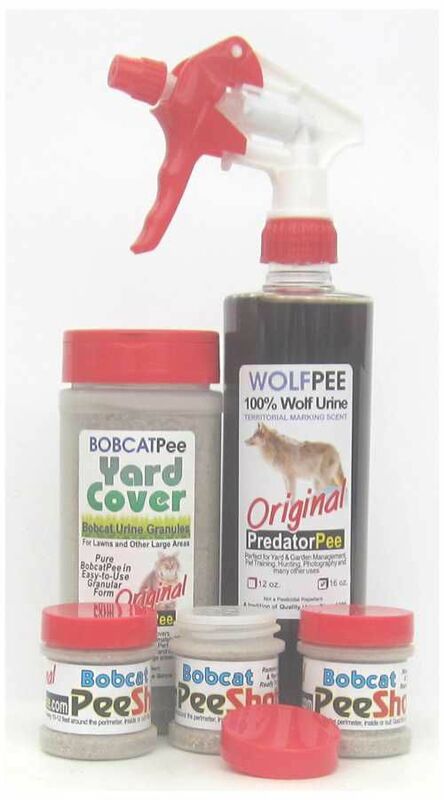 So it is time to take our pee where it has not gone before and explore all of the ways that wolfpee, coyotepee, bobcatpee, etc. can help protect innocent poultry and let their intrepid owners sleep a little better at night. As a way to jumpstart this effort, we are reaching out to this group with an advertisement in the upcoming issue of Backyard Poultry Magazine. Look for it later this month. We are offering a special package for Backyard Poultry readers. Also, we are reaching out to poultry bloggers and using social media to create awareness. If you read this, make sure to share! If you have read my blog, you know that I keep chickens and know how devastating it can be to lose any of them to a predator. PredatorPee can make it so that doesn’t happen again. Predator Urine stops the problem. They fear a predator is nearby and they leave. It is as simple as that. Help us get the word out! Posted on March 10, 2015 by The PeeMan. This entry was posted in Informational Articles and tagged backyard chicken movement, backyard coop protection, Backyard Poultry, Backyard Poultry Magazine, bobcatpee, chicken coop protection, coop protection, coyotepee, fox away from chickens, keep fox away from chickens, Leonard Nimoy, predator pee for coop protection, predators away from chickens, protect backyard chickens, protect backyard poultry, repel fox from chickens, repel possum from chickens, wolfpee. Bookmark the permalink. ← February 2015 – A month to remember or try to forget?